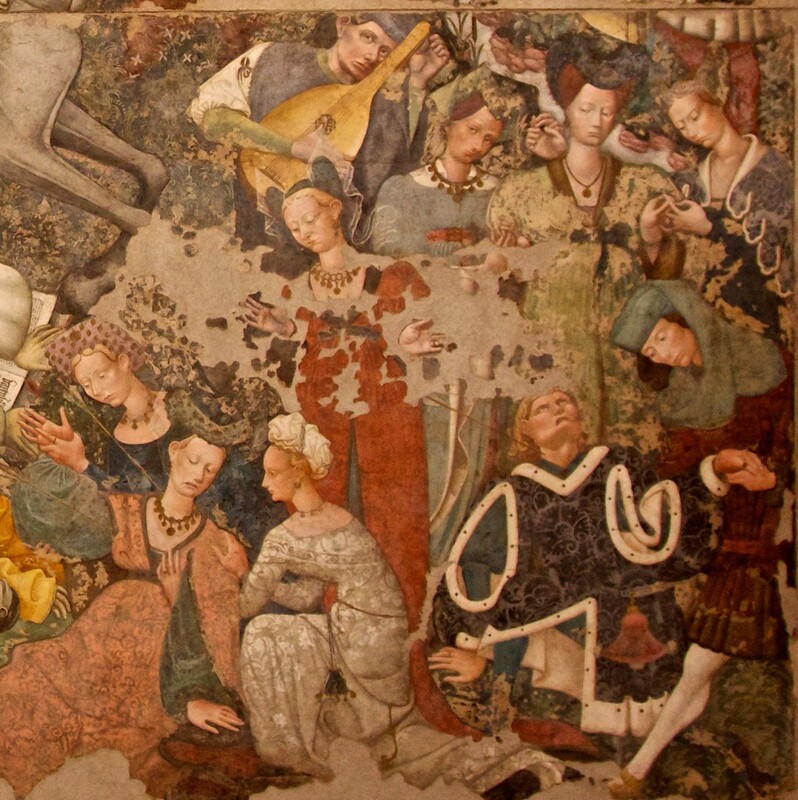 Not long after the Vernal Equinox of 1348 King Philip VI ordered a report on the causes of the Bubonic Plague from the University of Paris Faculty of Medicine. The response came by way of an astrological explanation. If the cause was understood, a cure might be found. The Faculty pointed to a chart for 1.00 pm 20 March 1345 there was a conjunction of Saturn, Jupiter, and Mars in the House of Aquarius. Moreover, there had been a significant Lunar Eclipse on March 18 at 9:38 pm. There is another chart of great importance in this matter. It’s the Solar Revolution for the year that the first known strains of the Black Death made landfall in Byzantium and spread rapidly throughout the eastern Empire, killing 100,000 people a year. At this time the Empire contained the lands on the Mediterranean coast and stretched far into the heartland of Europe. The plague went as far as Denmark and Ireland, ultimately killing about half the population of Europe. The Emperor Justinian contracted the disease in Constantinople but miraculously survived. Byzantium frequently imported large amounts of grain from Egypt. The shipments became infested with vermin, who in term carried fleas infected with the plague. It has been suggested that the Plague was a Pandemic originating in China at a time unknown. It is not certain however that it was the same strain, In light of this, our focus is on the European experience. The Byzantine historian Procopius first reported the epidemic in AD 541 from the port of Pelusium, near Suez in Egypt (Wade, 2010). We are not given a date. 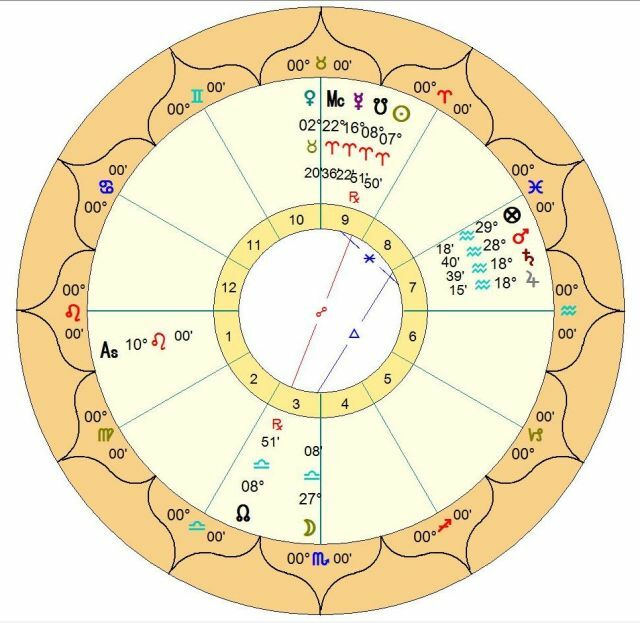 The chart is set for 0°Aries at Suez, constituting a Solar Revolution. First of all, a quick word about the symptoms of the Plague. Plagues have been the result of various forms of Human y pestis infection, taking three main forms pneumonic, septicemic, and the notorious bubonic plagues. See Ryan KJ, Ray CG (2004). Sherris Medical Microbiology (4th ed.). pp. 484–488. At first glance, we can see the Byzantium Chart is not good, but perhaps not bad enough to signify what we are looking at. However, we have Saturn in Martian Scorpio in Partile conjunction to the Ascendant. His dispositor is in the Eighth House of Death. Mars is also conjunct the South Node and Almuten of the chart as well as the Ascendant, adding considerable strength to the malefics. Mars is the Killing Planet. The angles are in Fixed Signs lending more power and longevity to the influences. Less obvious is Venus in her domicile in Taurus. In most cases, this is a good placement for her. However, she is exactly conjunct the highly malefic Fixed Star, Algol named by the Chinese as ‘piled up corpses’ and by others as losing one’s head. as in decapitation or madness. The deaths were so numerous that the corpses were literally piled up. You could say that Venus is a devil in disguise. She is in Hayz and Lady of the Year. She is also Lord of the two most unfortunate houses, the Twelfth and the Sixth. 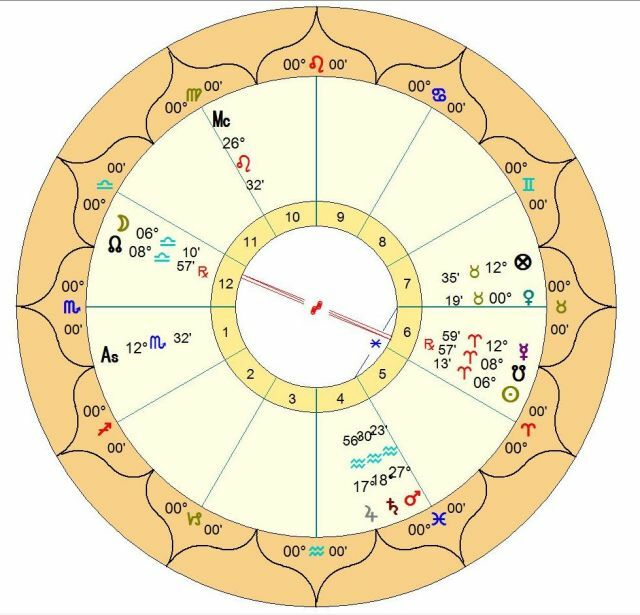 Mercury is in his Fall and disposits Mars and Moon in the Eighth without benefit. However, he is in the fruitful sign of Pisces. It seems that everything is conspiring to ensure this Plague has all it needs to spread without hindrance. 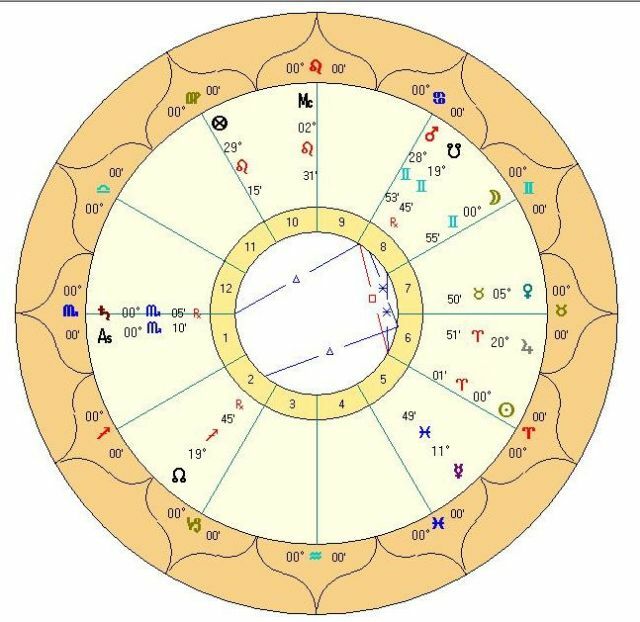 Let’s now consider the Eclipse chart referred to by the astrologers from the Faculty of Medicine. The chart is for Paris, France. 18 March 1345 at 9:38 pm. There are some similarities between this and the previous chart. The Part of Fortune is Hyleg and Conjunct Algol, as Venus had been. She is again in Taurus and in the 7th House. She is Almuten of the chart. Saturn is the Almuten of health according to the rules set down by Omar. The eclipse is the 6 / 12 axis denoting health and hidden enemies respectively. We know that by this time the plague had become airborne being passed from one to another on the breath. The Killing Planet is Saturn in his own domicile and dispositing Jupiter and Mars. The malefic element of Mars and Saturn are made larger by Jupiter in this case. Finally, we look at the chart delivered to King Philip showing the conjunctions of Saturn, Jupiter, and Mars in the Fixed Air sign of Aquarius. This is on 20 March 1345, Paris France at 1:00 pm. Offsetting the emphasis on Air is the Leo Ascending and the Sun and Mercury in Aries. The Hyleg is the Sun. We end up with a Choleric chart, being hot and dry, hosting the two malefics in Aquarius with Jupiter Parallel Sirius (searing heat). Again, Saturn is the Killing Planet. This happens not two days after the Lunar Eclipse. More often than not, Eclipses auger bad fortune for those under its influence. We now have the same air considerations, but the humour is now more a raging fever being driven by the forces of air. The close proximity of the Descending Node to the Sun merely aggravates and exacerbates the situation. The force is unstoppable and all the physicians can do is try to lessen the fatalities. The Moon represents the people. She is about to slip into the sign of her fall in Scorpio and in the Fourth House. This has among other significations, that of ancestry and the end of the matter. The Plague in Byzantium was bubonic, but the one referred to King Philip’s physicians appears to have been pneumonic. The first is primarily spread by blood, as in flea bites and the second is carried in the air. This is at the heart of the issue with the charts comprising Saturn, Jupiter, and Mars in the Fixed Air sign Aquarius. The symptoms, in either case, include boils and ultimately, several organs can be affected, including the spleen and brain. The infection, accompanied by violent fever causes immunologic breakdown, leading to disseminated intravascular coagulation (DIC), resulting in bleeding and necrotic skin and tissue, particularly of the hands. This resembles gangrene. Historically, the disease was almost always fatal. We can see then that the disease displays symptoms attributed to Saturn, Mars and Jupiter. Richard Saunders lists these in his Astrological Judgment & Practice of Physic (esp. pp. 52 -53). When we think of fever, Mars is what comes to mind. Indeed, Saunders duly lists, adds red Cholera, Smallpox, breaking of the veins and great deal more that applies quite specifically to the Bubonic Plague. Less well known are the attributes of Jupiter in the study of disease. Saunders includes all “diseases of the veins and proceeding from corruption of the blood, windiness and all putrefaction in the blood or fevers proceeding from too much abundance thereof.” (p. 50). Astrology can still be used for prediction and diagnosis with the same accuracy as in the time of King Philip. But what was an unmitigated tragedy on an epic scale would today be read as a warning, perhaps. The Plague is still with us and surfaces every now and again. Today we have effective treatments that make it no much more serious than a bad case of the flu. This doesn’t negate the fact of the accuracy of astrology and the validity of using it to warn of epidemics. seismic activity or extreme weather.